Itchy red eyes are typically caused by seasonal allergies or from exposure to pollen, pet dander, dust, and other common allergens. You can find relief for your itchy eyes with a few simple home remedies. Itchy eyes are also a symptom of conjunctivitis, more commonly know as pink eye. If your itchy eye symptoms turn severe, consult a medical professional. Over-the-counter antihistamines and decongestants can typically manage the itchy eyes and stuffy nose associated with allergies. Rinse the eyes with a mixed saltwater solution. Flush the eyes with green tea, after it is brewed and allowed to cool. Gently rub the eyes with a cotton swab dipped in milk. Apply a cold compress to the area around the eyes. Place refrigerated cucumber slices over each eye for ten minutes. Itchy eyes can be a sign of more serious health conditions. If your symptoms persist for more than a few days, you should consult a medical professional. Some allergic reactions can be life threatening. Anaphylaxis is a serious allergic reaction that can begin with symptoms including itchy eyes and progresses quickly to a full body reaction that includes vomiting, swelling, and difficulty breathing or swallowing. Peanut allergies and insect venom can send victims into anaphylactic shock. If you or someone near you goes into what appears to be anaphylactic shock, seek emergency medical care immediately. Conjunctivitis, also known as pinkeye, can be caused by a virus, an allergen, or bacteria. All three types start with itchy watery eyes, but bacterial conjunctivitis can damage the eyes if left untreated. 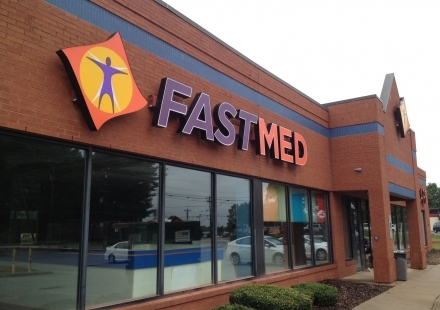 FastMed Urgent Care is open 365 days a year and offers extended weekday hours, so we’re here and ready to help when you need itchy eyes relief. Our medical professionals will quickly determine the proper response to your irritated eye symptoms. Our goal is to get you in, treated, and back out on your way in under an hour.